The Detroit Lions come to Glendale for a week 14 matchup with the Arizona Cardinals on Sunday. Neither team has enjoyed a fruitful season, but at the same time, neither side has thrown in the towel yet. We continue to see both teams trying hard, and for the Cardinals, it really paid off on Sunday with a 20-17 win over the Packers—not too shabby for two-touchdown underdogs. The Lions had a tougher time of it last week with a 30-16 home-loss to the LA Rams on Sunday. I see the Cardinals doing enough to get the cover at home this week against the Lions. When you come into the final quarter of the season, and you’re playoff hopes have long ago been dashed, it means you’re not very good. Both teams have first-year coaches and heading into this week, are a combined 7-17 overall. But against the spread, they are a combined 12-11-1—not great, but enough to show that betting against them hasn’t been a slam-dunk. The Rams needed a big fourth quarter last week to cover against Detroit, while Arizona made a mockery of the spread, winning straight-up at Lambeau last week. Detroit has waned recently, with one win in their last 6 games to go along with one measly cover. They haven’t been getting embarrassed, but just as we saw last week, they didn’t quite have enough to get over the hump ATS. On both sides of the ball, they tend not really to rise to the occasion late in games. The offense has become really flaccid as of late, with Kerryon Johnson out, along with Golden Tate having departed and Marvin Jones on IR. That crappy line isn’t helping. It’s led to an offense where it’s considered a bonanza if they get to twenty points. And that isn’t the only issue with Detroit. The defense has been decidedly below average in terms of overall stoutness, especially against the run. With the Arizona offense having seen a bit of a revival in recent weeks with their ground-game, we could see it resonate this week in the desert. Making it worse is a Detroit defense that has really been lacking in the area of making big plays. This really applies late in games when this unit sort of disappears. On Sunday, Quandre Diggs got an interception, only the fifth of the whole season for this defense. That’s quite a difference from the last few years when this secondary made a ton of plays. Which Team Can Run the Ball in this Spot? If looking for some silver lining in what will be a forgotten season for the Lions, one could point to their run game. With Kerryon Johnson making a big impression as a rookie and with the still-lively legs of LeGarrette Blount, the Lions can do damage in this area. And with the Cardinals having one of the worst-run-defenses in the league, this could be the Lions’ path to a win on Sunday. And even with Johnson out the last few games, they still have been effective in spots with Blount and Theo Riddick. If Johnson returns, look for the Lions to emphasize this aspect of their offense. The Cardinals have seen the run-game give their offense a much-needed boost. 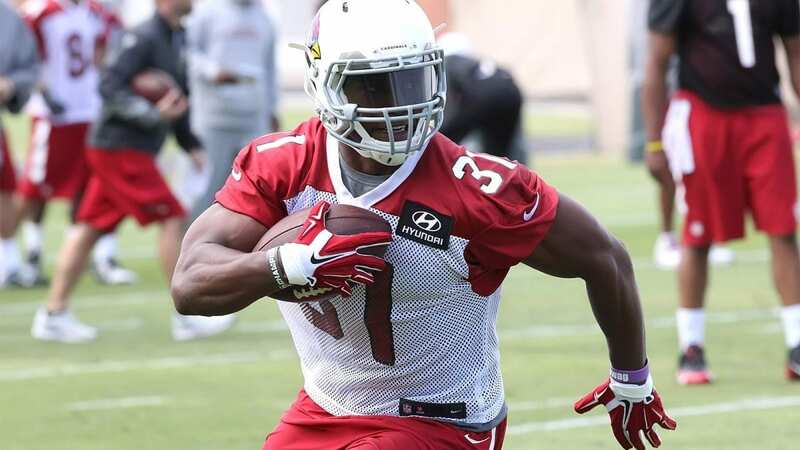 Having spent most of the season as the worst offense in the league, we notice David Johnson starting to showcase some of his old form. On Sunday in the win against Green Bay, Fordham rookie Chase Edmonds had some big runs, including two touchdowns in his first meaningful NFL production. Rookie QB Josh Rosen continues to struggle royally, unable to really make connections with Christian Kirk and Larry Fitzgerald. But with the run-game waking up, the Cardinals have scored 20 or more in two of their last three games. That’s not a reason to write home, but after surpassing 20 points just once in the first nine games, it’s a good sign. Arizona “D” Coming to Life? For most of the season, the Arizona aerial-defense has been really solid. With guys like Patrick Peterson, David Amerson, Tre Boston, Antoine Bethea, Budda Baker, and others, opposing quarterbacks have mostly been kept in relative check. And nothing against Stafford, but with Tate and Jones gone, he’s left with Kenny Golladay and his backs. In the last three games, he has thrown just two touchdowns and seen the deficiency of his receivers cost the team at least one game. On Sunday, we saw the Arizona “D” look pretty good against the run, as well. The pass rush was decent, and Chandler Jones is one of the best in the conference when it comes to getting after the QB. Say what you will about the Cardinals, but whatever they did last week was enough to get longtime Packers head coach Mike McCarthy canned. The Cardinals’ defense isn’t great. Against the run, they’ve been bad for most of the year. Against the Rams, they gave up 34 points, while also giving up 45 to each the Broncos and Chargers. But when you get past those three games, they’ve been pretty good otherwise. They gave up just 26 to the Chiefs and just 17 on the road to the Packers last week. And for the most part, they’ve been pretty rigid when you consider how little support they get from the other side of the ball. If the Cardinals’ run-game has come back to life some, it gives more credence to the idea that their defense would seem to match up pretty well at home against this Detroit offense. Just when you feel a bit uneasy taking the Cardinals, remember they actually have a better record against the spread than the Rams this season. Sure, most of those came when getting a lot of points. But I see them being at a state of higher energy this week than a Detroit squad that comes off two straight home losses and now has to cross the country for this game. I see the Detroit aerial game continuing to struggle, while maybe the Arizona “D” can make some big plays and get their run-game rolling a bit against a porous Detroit defensive front. I’ll take the Cardinals. Loot’s Pick to Cover the Point Spread: I’m betting on the Arizona Cardinals plus 2.5 points. Fellas, don’t forget to visit our NFL page for betting insight with free picks!